NYT is running my Photo Essay on call center workers in the Philippines and in India. 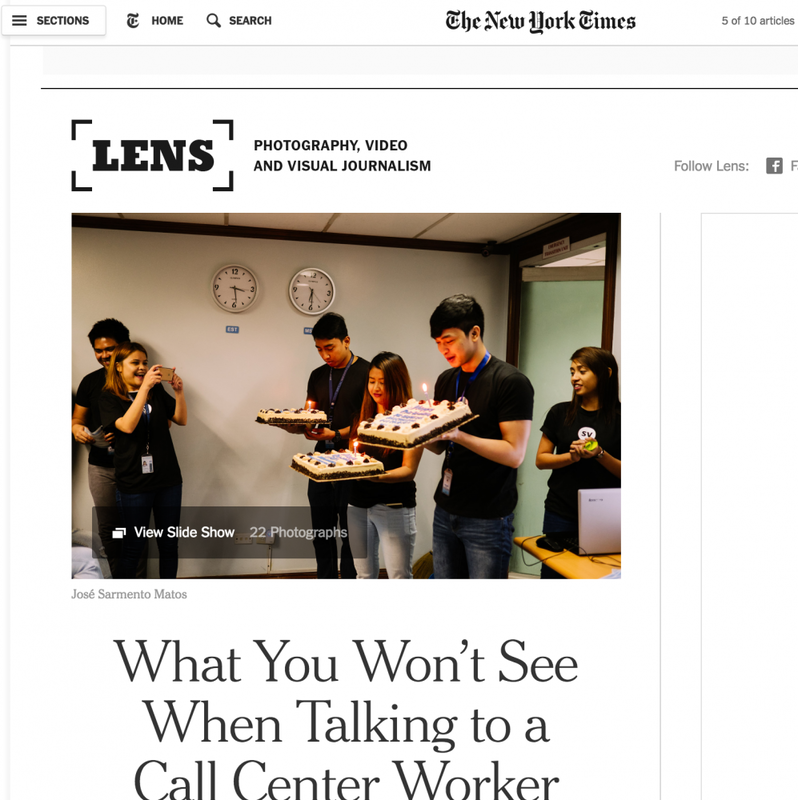 My independent project on Call Centers in India and in Philippines, about these faceless people got published last week in NYT Lens Blog and today in NYT paper edition, in the business section. José Sarmento Matos BLOG NYT is running my Photo Essay on call center workers in the Philippines and in India.